Will the Fed meet expectations? On November 2-3, the highly anticipated meeting of the Federal Open Market Committee (FOMC), a 12-member group of US Federal Reserve members that establishes credit and interest rate policies, will take place. Since mid-August, members of the Fed have been suggesting that significant action will be announced at this session to help improve the US economy. While the size and timing of such intervention is unclear, expectations range between $500 billion and $1 trillion dollars. MY TAKE: Investors are a bit edgy as we approach this event. Equity markets have had a strong rally in anticipation of another round of quantitative easing (expectations of economic and financial engineering can have this type of effect on markets). However, while bailouts and printing money can help to stabilize an economy, such actions may be less effective in stimulating improved productivity and growth. Longer-term improvements will likely be more dependent on international trade dynamics and renewed consumer demand. Note that meetings by the European Central Bank, the Bank of England, the Bank of Japan and the Reserve Bank of Australia also take place this week. Bottom line – it is likely that market volatility will persist. There is not enough space on this note to catalogue the media circus associated with this year’s mid-term election cycle in the United States. Therefore, I will focus a single topic close to home. In San Francisco, Proposition B is on Tuesday’s ballot. This proposition addresses Pension Reform and, if passed, would require city employees to increase their contribution to health care and pension costs. Similar to many cities, states and countries; when the economy was booming, investment returns addressed a large part of San Francisco's pension obligation. However, that is no longer the case. The city is now expected to contribute an increasing part of its operating budget to address pension costs, which reduces the funds available for other city services. MY TAKE: Globally, addressing pension obligation issues will require many hard choices. The core debate focuses on how to preserve critical government services and protect jobs, while avoiding politically expedient “quick fixes”, or “kicking the can down the road”. The outcome of the vote in San Francisco may help to shape the larger pension fund debate. Taking a broader view of the US political landscape, Tuesday’s elections will likely provide several surprises for investors to factor into their market outlook. On Friday, Chairman Ben Bernanke said the Federal Reserve "is prepared to take new action to boost the economy, because inflation has been too low of late and unemployment is poised to come down too slowly". He also noted, "there are clearly many challenges in communicating and conducting monetary policy in a low-inflation environment, including the uncertainties associated with the use of nonconventional policy tools". MY TAKE: For many weeks, the market has been expecting the Fed to pursue another round of quantitative easing (printing more money). The expected outcome from such action should be a decline in long-term interest rates, an increased appetite for riskier assets such as equities and a weaker dollar that could help to increase exports. However, complicating the landscape are issues such as 1) many nations want to devalue their currency to address economic issues, 2) commercial banks may continue to increase their capital reserves to deal with non-performing loan portfolios instead of increasing lending and 3) terms such as "uncertainties" and "nonconventional" suggest that the Fed may be in a reactive mode as it navigates uncharted economic territory. A week ago, I highlighted the issues related to potential home foreclosure processing problems in the US. Firms with potential exposure saw their stocks take a hit for the week: Bank of America Corp. (US: BAC) down 9.1%, Citigroup Inc. (US: C) down 5.7%, Goldman Sachs Group Inc. (US: GS) down 1.3%, J.P. Morgan Chase & Co. (US: JPM) down 5.5%, PNC Financial Services Group, Inc. (US: PNC) down 3.3%, and Wells Fargo & Co. (US: WFC) down 9.1%. It is being reported that the US Securities and Exchange Commission, the Department of Justice, the Office of the Comptroller of the Currency and the Federal Deposit Insurance Corporation are also joining the examination of the foreclosure issue. MY TAKE: Most participants involved in this problem are hoping to both quickly resolve it and to minimize the financial impact to themselves and to the economy. The challenge is balancing the desire for expediency with “rule of law” processes. The concluding acts of the era of “no doc” mortgages and “no doc” foreclosures will likely involve modifying the terms of many mortgages and the settlement of many yet to be filed lawsuits. The price tag could be in the billions of dollars. Is cloud computing hitting an air pocket? In late August, my comment "Is 3PAR frenzy" a 3-ring circus?" highlighted the high valuation of this "cloud computing" acquisition that resulted from a bidding war between Dell, Inc. (US: DELL) and Hewlett-Packard (US: HPQ). While cloud computing has been an interesting theme in the technology market for a while, investor enthusiasm for 1) a major technology transition, 2) an open ended market opportunity or 3) some price charts with strong upward moves was overdone. This past week Equinix, Inc. (US: EQIX), a firm associated with the cloud computing theme, announced a slight earning shortfall which resulted in a one day stock drop of over 30% and sent the stocks of other related names such as Citrix Systems Inc. (US: CTXS), Rackspace Hosting (US: RAX), VMware Inc. (US: VMW), Salesforce.com, Inc. (US: CRM), and F5 Networks Inc. (US: FFIV) down 7% or more. MY TAKE: This week's price action should be a reality check for cloud computing investors. While these companies have fundamental business propositions, cloud computing is not a spiritual experience. Investors should be cautious about 1) merger and acquisition frenzy, 2) momentum trading and 3) media cheerleading. Investing is never a simple process and understanding valuation is important. The stock valuations of this group were very extended. Forclosure processing: a small problem, or is there something more going on? In recent weeks, lawmakers and the attorney generals in many states in the US are focusing on the foreclosure of thousands of homes where processing may have taking place without the proper review of supporting documentation As a result, J.P. Morgan Chase & Co. (US: JPM), Bank of America Corp. (US: BAC), Ally Financial Inc. (previously known as GMAC), PNC Financial Services Group, Inc. (US: PNC) and Litton Loan Servicing LP - a unit of Goldman Sachs Group Inc. (US: GS) have temporarily halted foreclosures as they review their processes and legal exposures. MY TAKE: Among the contributing factors leading to the housing bubble were poor lending practices by mortgage originators. Today, as the market seeks stability in US residential housing, it appears that similar sloppy processes are being applied to foreclosures. The foreclosure slowdown may be a temporary issue (estimates suggesting there may millions of pending and completed foreclosures requiring review). If substantive processing issues are revealed, confidence among potential home purchasers could be undermined, which may stall an already fragile housing market. If legal probes and actions expand, we will likely learn more about Reston, VA based Mortgage Electronic Registration Systems Inc. (MERS). MERS acted as an intermediary in processing mortgage. Its shareholders include several of the larger market participants and its motto is "process loans, not paperwork". Last week, I mentioned that Mr. Zell's Equity International (EI) unit was increasing its focus on Mexican and Colombian real-estate firms. On Friday, EI reported that it had trimmed its holding in Brazilian homebuilder Gafisa S.A. (Brazil:GFSA3, US: GFA) and property manager BR Malls Participacoes S.A. (Brazil:BRML3). EI's chief executive officer Gary Garrabrant, said. "Today's transactions simply reflect the ongoing execution of EI's disciplined and proven monetization philosophy." In other words, it is time to take some profits. 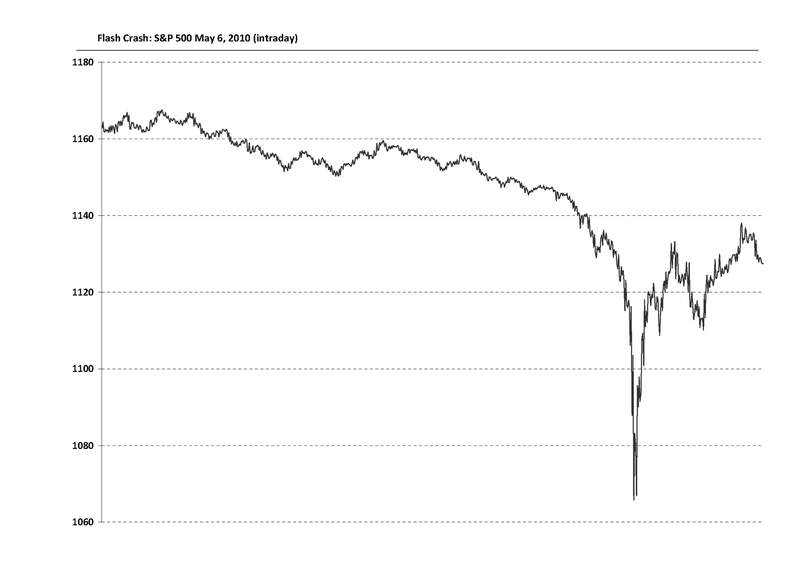 During the days preceding May 6, 2010, concerns about European debt issues and a potential Greek default were placing stress on global markets. On that day, US equity markets began to trade down at an accelerating pace as many systematic traders exited the markets – a factor contributing to the “Flash Crash” where stocks moved wildly and the S&P 500 dropped by 8.5% at point during the day. This past Friday, the US Securities and Exchange Commission and the Commodity Futures Trading Commission released a joint report on this matter. Several news articles are highlighting that a large unnamed trader (likely to be Kansas based mutual fund Waddell & Reed) pursing an automated futures contract trading strategy increased the instability of the markets. The regulator’s report notes that our current trading environment remains complicated because 1) there are several sources of data feeding into the markets, 2) data communication methods vary, 3) the volume of quotes, orders, and trades are high and 4) the laws of physics create inherent time lags in how information is handled. MY TAKE: High frequency trading (HFT), according to the Tabb Group, accounts for 56% of equity trades in the US and 38% in Europe. This sub-second trading arms race is less about assessing business and economic fundamentals, and more about leveraging a mix of quantitative algorithms, high performance supercomputers, finely tuned communication networks and a server’s proximity to exchanges. The exchanges like HFT because they generate significant trading revenue (note: there are plans for co-located data centers next to exchanges in Hong Kong, India, and Australia to support HFT). 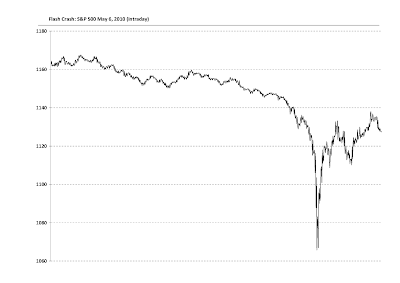 Yes- the US regulators have approved “circuit breakers” that should pause trading in moments of market instability. However, it seems they remain behind the curve on the effect HFT may have on increasingly interdependent markets where speculative trading volumes are increasing and transparency is low.